Dream can never remain confined to the arena of privileged ones. A less privileged commoner also can become a dreamer. He also can proceed to touch his dream destination by crossing thousand miles. The conviction becomes much stronger when the honour of his own country remains attached to the dream and when he is blessed by extended helping hands of good friends. 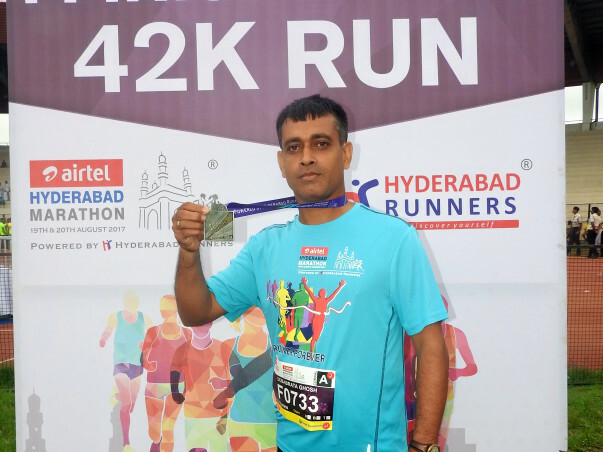 I am Debabrata, a Dreamer by heart and a Mountaineer by passion. 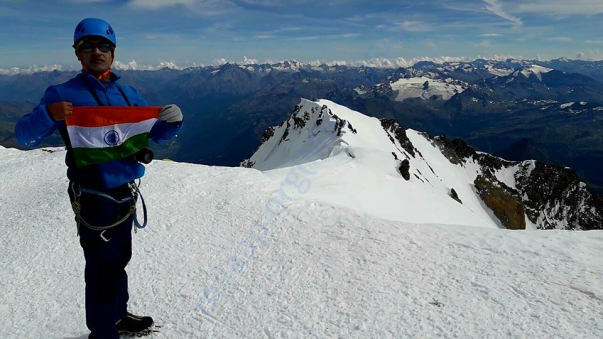 I am in need of your helping hands to fulfill my dream to unfurl India’s national flag atop 7 highest mountain peaks in all the seven continents of this planet Earth. A man from a small town Siliguri in West Bengal with non glittering family background and with non shiny financial standing, I only have my dream and expertise as my courage to seek your support in this mission of mine. 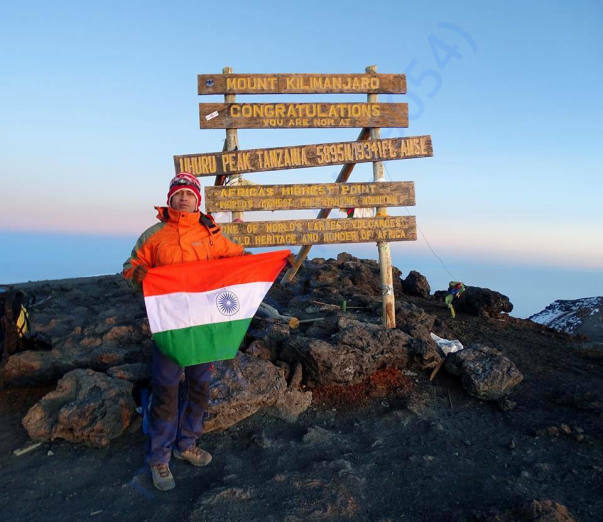 Beginning in 2016, I have already placed our national flag on Mt. 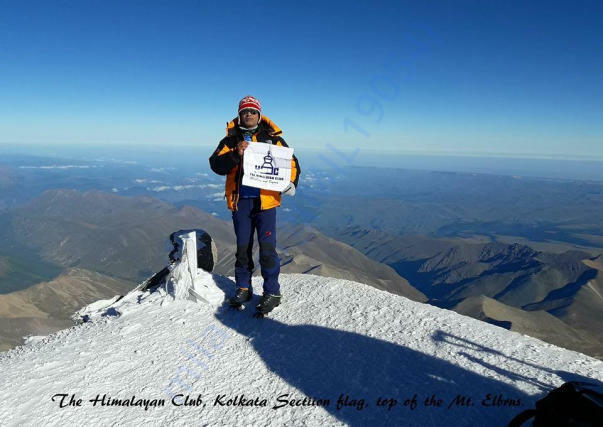 Elbrus, highest peak in Europe in 2016 September, and Mt. Kilimanjaro, highest peak in Africa in June 2017 season. To continue with the mission next year, I have prepared myself to proceed towards Mt. Aconcagua (6962 m), the highest point in Argentina, South America. Name of my other target points to have my national flag on their lap are written in the book of near future. Carstenz Pyramid; Oceania; Mt. Denali, North America; Mt. Vision Massif, Antarctica and finally Mt. Everest in Asia. Sir, may I request you to come forward please? You can bring in a sea change in the distance between my Dream and reality. This million miles distance can shrink down to few furlongs only with your well wishes and support to back my effort up. Without any external resource or major support, so far I have already spent Rs. 6, 80,000. As you can understand, I have exhausted all my own resource. I am therefore requesting your support to undertake my mission in 2018 to climb Mt. Aconcagua, the highest point in South America. This expedition in January 2018 would cost Rs. 6, 30,000. I am confident of having you beside me with your extended hands. Mt. Elbrus (5642 m) highest point of Europe.